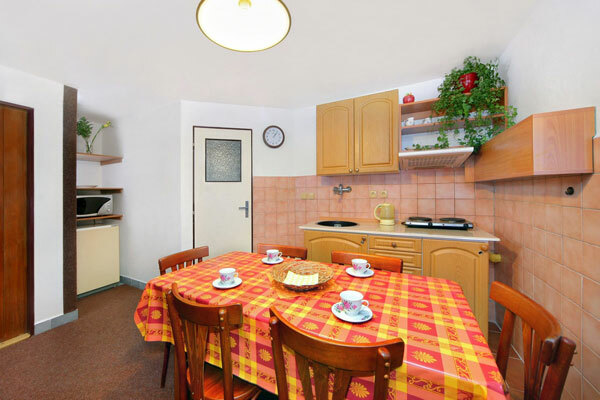 The guests accommodated in the apartment no. 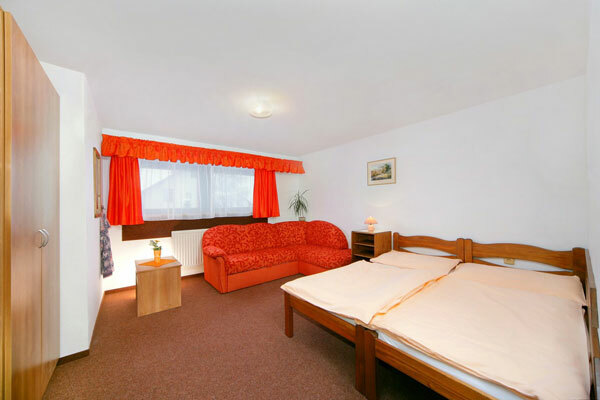 166 can use sports fields and relaxation areas under the same conditions as the guests accommodated in the Skalka hotel. Apartment no. 166 is situated in a quiet area. 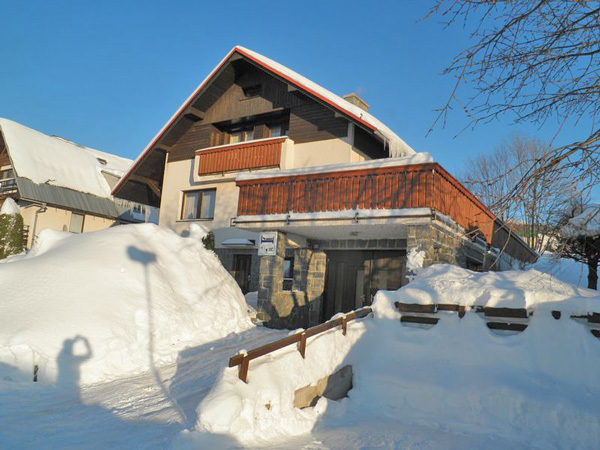 It is 100 m distant from the Skalka Hotel, kids ski-lifts, snowtubing, kids schools, rentals, are located in the close proximity. You can reach a chairlift and get back on this skis. Thanks to its location, the apartment with a separate guest entrance is suitable not only for a family with children, who prefer private accommodation and do not want to change habits from their home, but also for couples longing for privacy, which can hardly be found in bigger pensions. 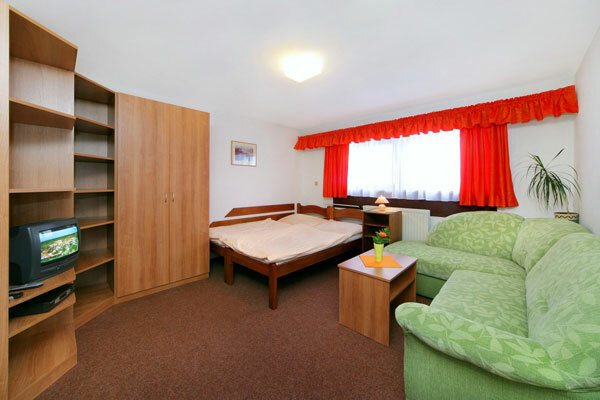 The apartment features two three bed and two bed rooms separated with a corridor. Both rooms are equipped with sitting and folding living room furniture, two beds and a TV set with satellite reception Apart from the toilet and a shower, there is also an equipped kitchenette with a fridge, double cooker, microwave oven and a chamber. There is a garage for cars, motorcycles and bicycles. Hosté ubytovaní v apartmánu čp. 166 mohou používat sportoviště a relaxační prostory za stejných podmínek, jako ubytovaní v hotelu Skalka. Cena apartmánu je vždy za celek na 1 noc. Od 3 nocí více. 1-2 noci příplatek 300 Kč.